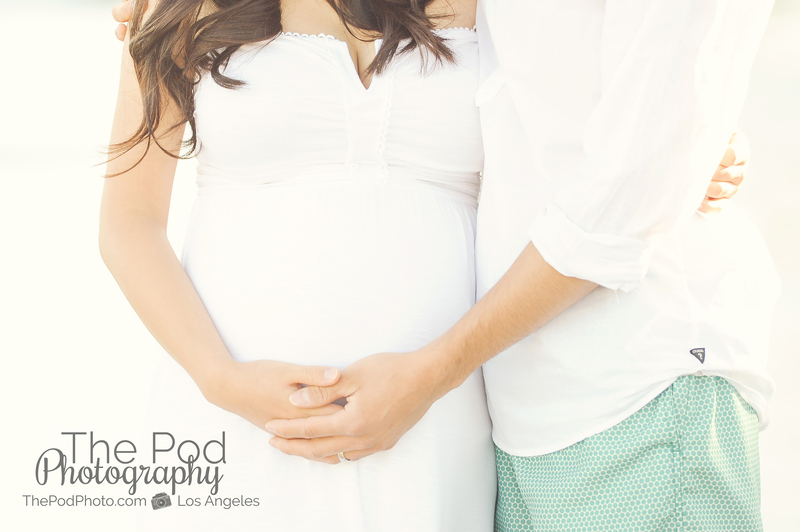 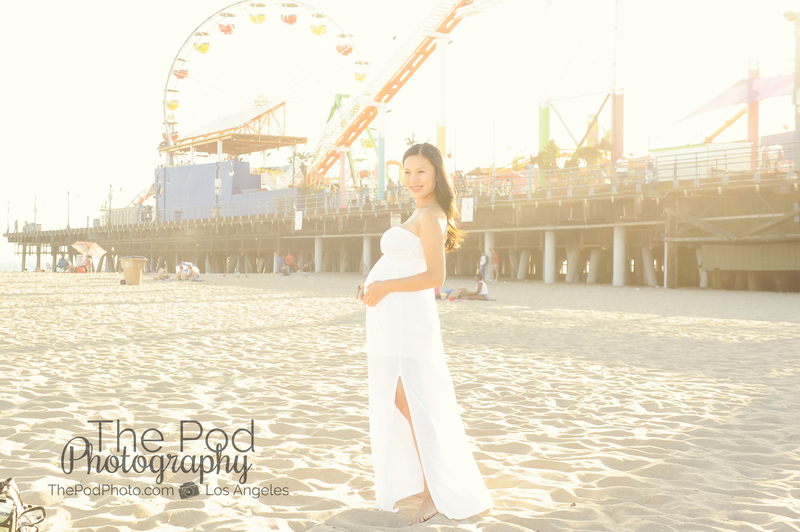 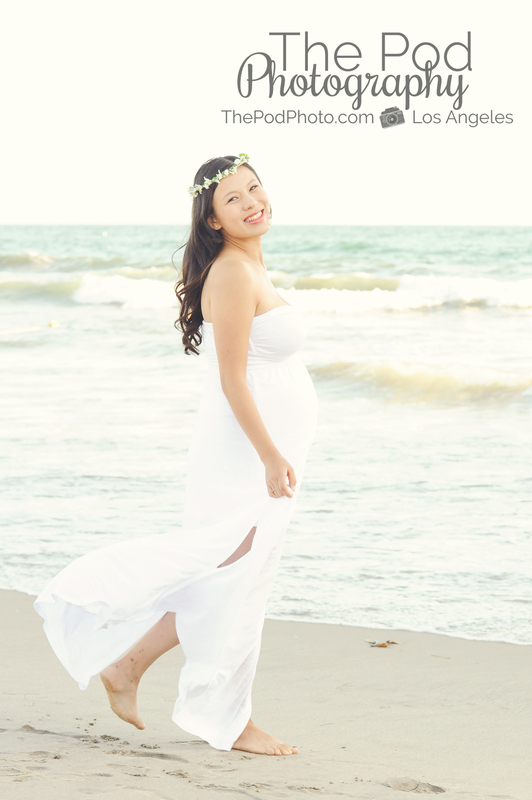 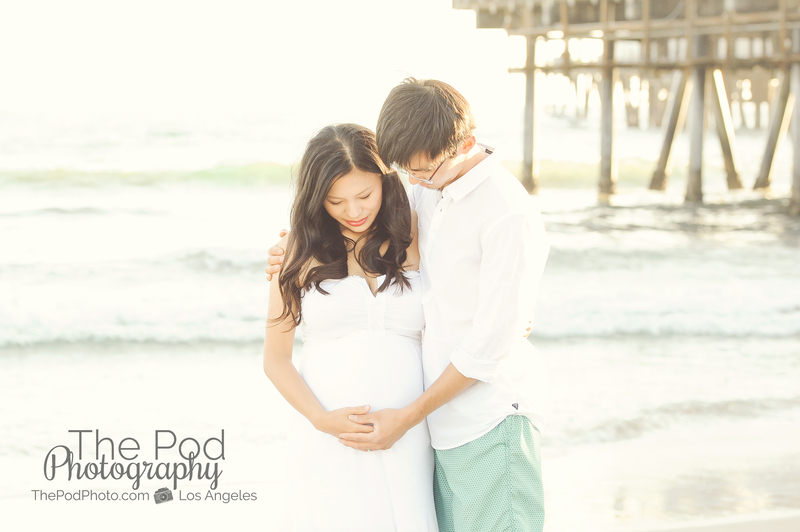 Santa Monica Pier Beach Maternity Photo Shoot - Los Angeles based photo studio, The Pod Photography, specializing in maternity, newborn, baby, first birthday cake smash and family pictures. 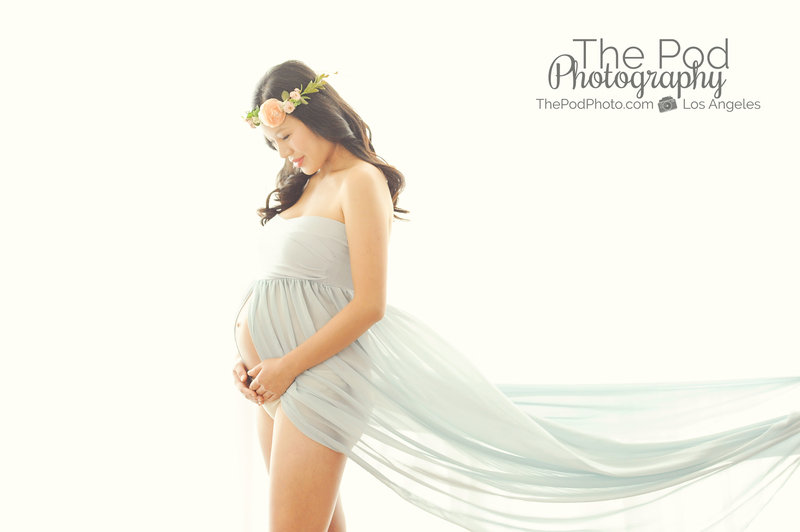 We have recently had the honor of capturing maternity and newborn photos for several international clients. 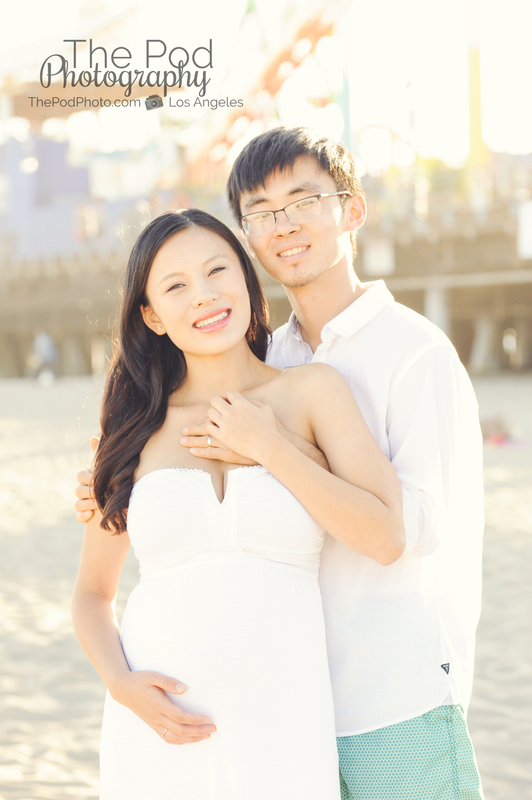 Last week we had a newborn from Russia, another newborn from Indonesia, a maternity client from Japan and then this lovely couple from China a few weeks ago. 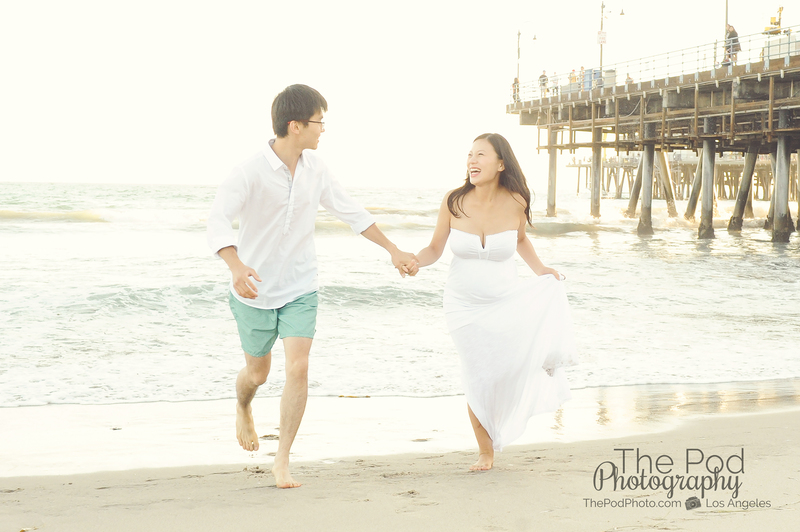 It is always fun bringing each client’s unique vision to life for their photos – but it is even more fun when an international client wants something different than I am typically asked. 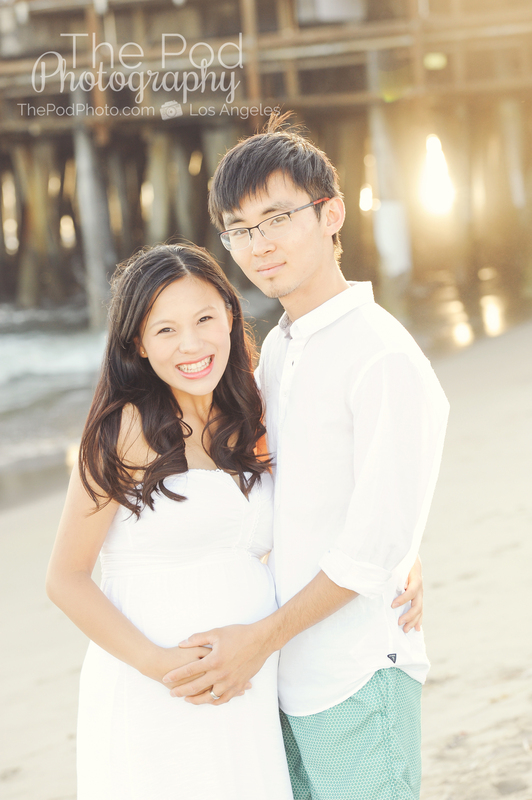 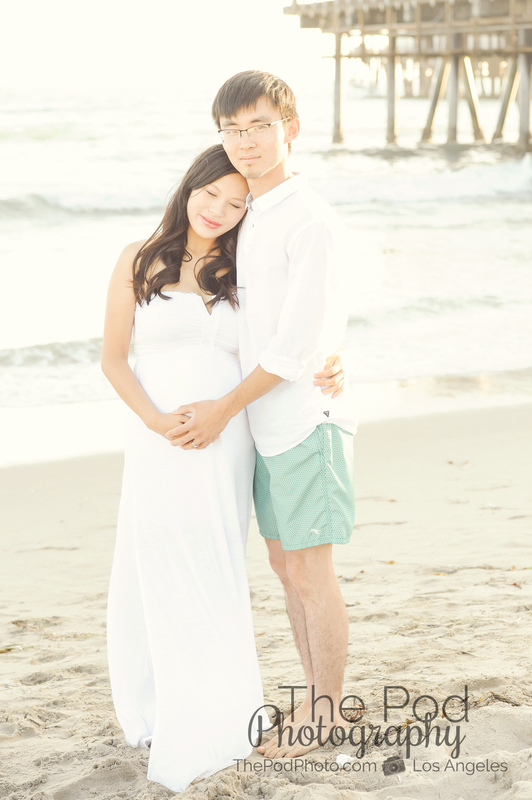 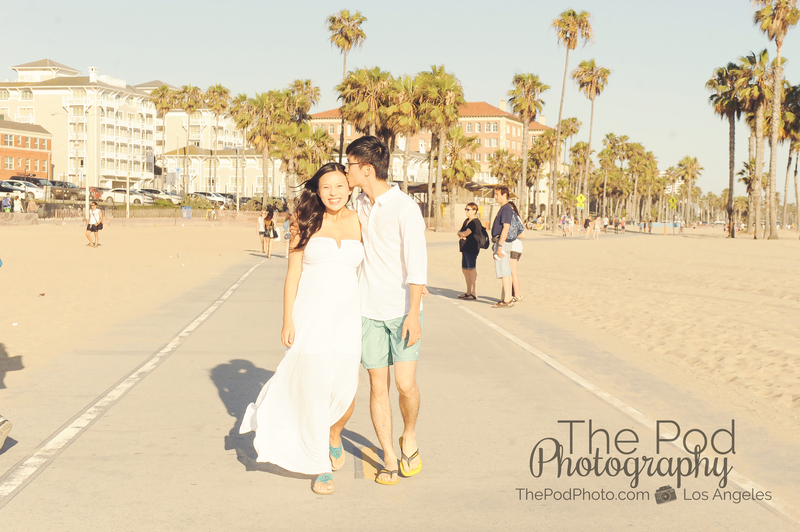 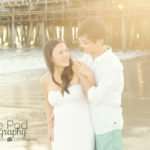 This young couple from China rented a super sweet apartment in Santa Monica right on the beach for the Summer. 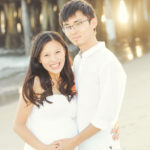 They said that they wanted to enjoy their time before the baby arrives in a fun, relaxing environment while on vacation… how many of us think that, but wow how cool is it that they are actually doing it?! 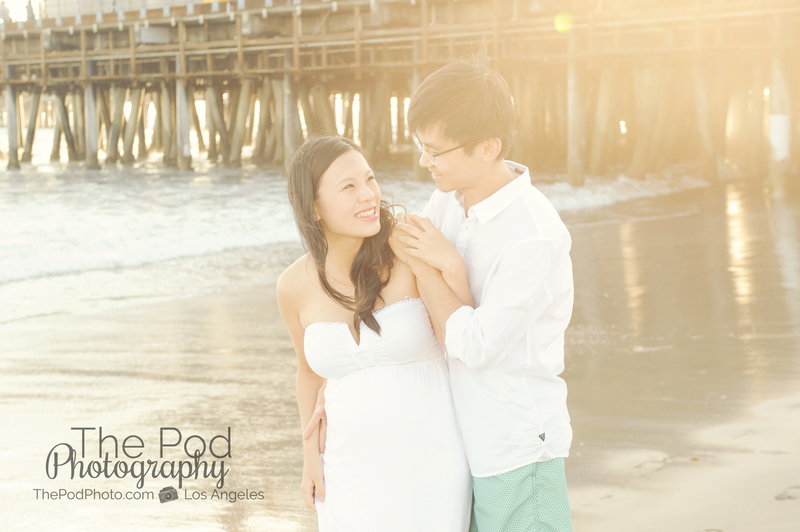 When I first met with this couple we had to flush out a few cultural differences between Chinese photographers and what we do at our studio. 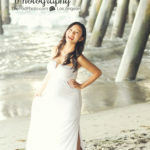 They were expecting tons of outfit changes, spending a whole day shooting, extensive hair and makeup and then to get all of the digital files un-edited. 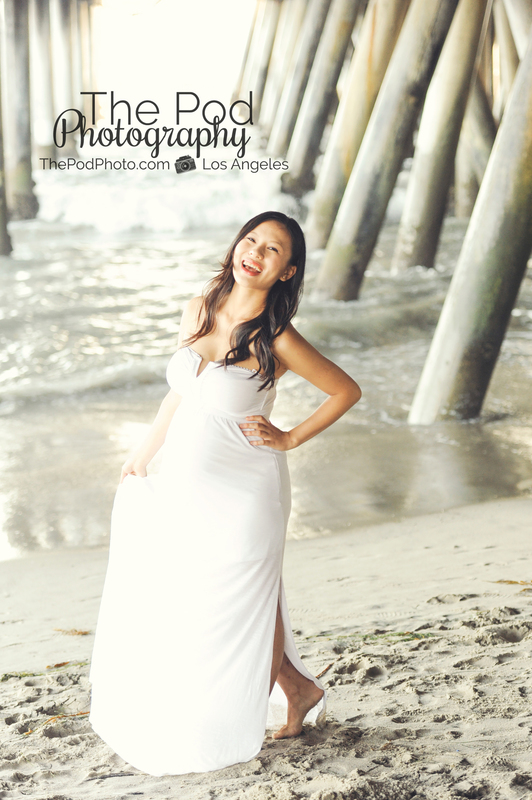 So, back to this client’s expectations: we hired a hair and makeup artist for her and decided on just three outfits for their in-studio and location photo shoot. 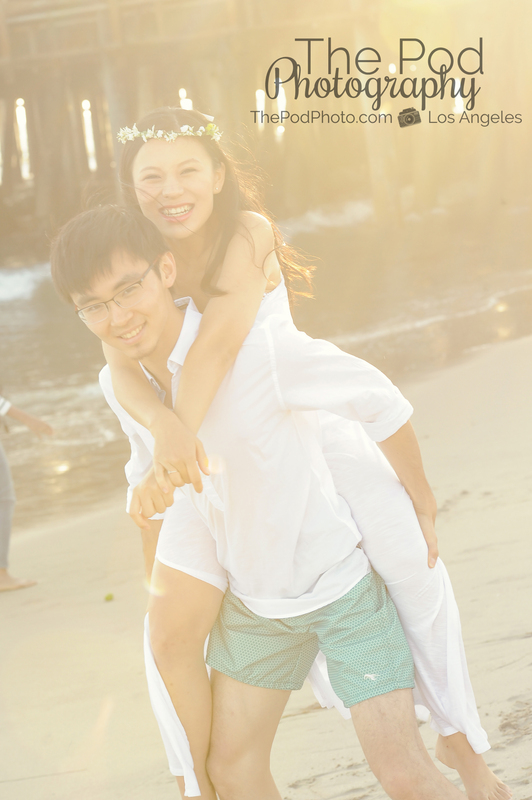 It became clear to me the more I spoke to them that their top priority for their photos was that they be “fun and playful.” This is that part where it was an interesting cultural education for me – there were props and funny facial expressions that they loved, but I still had a blast on this shoot – I really enjoyed getting to know and learning from them! 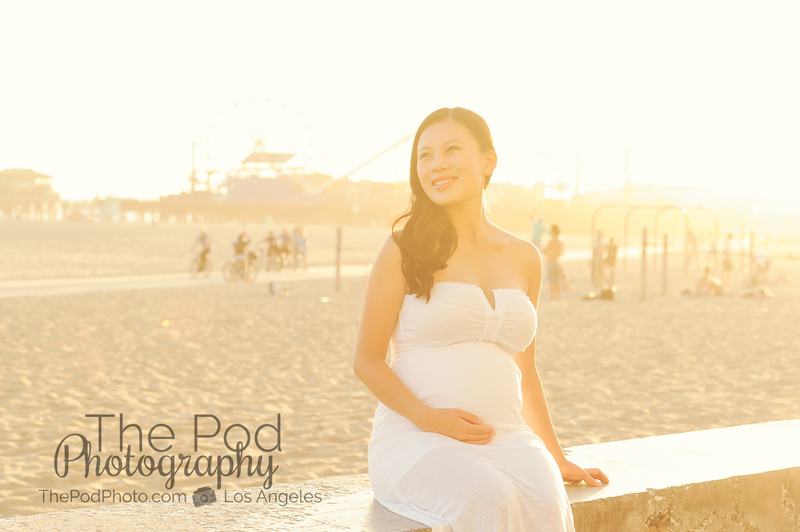 WOW isn’t this mamma-to-be STUNNING! 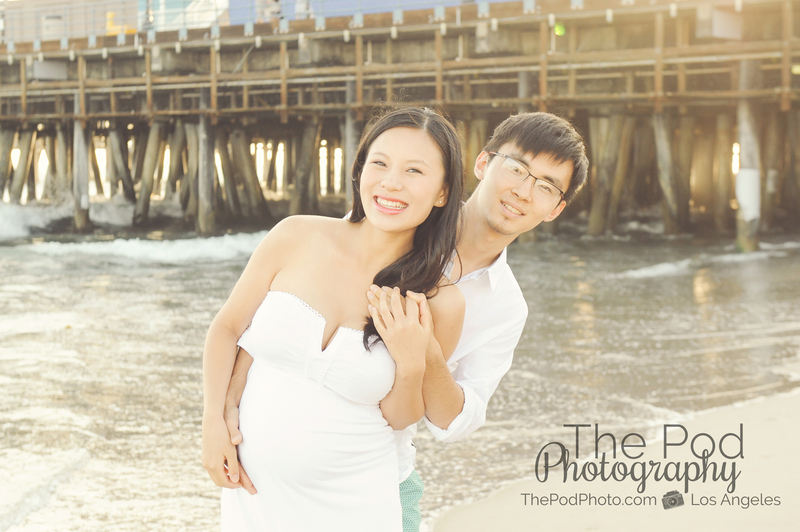 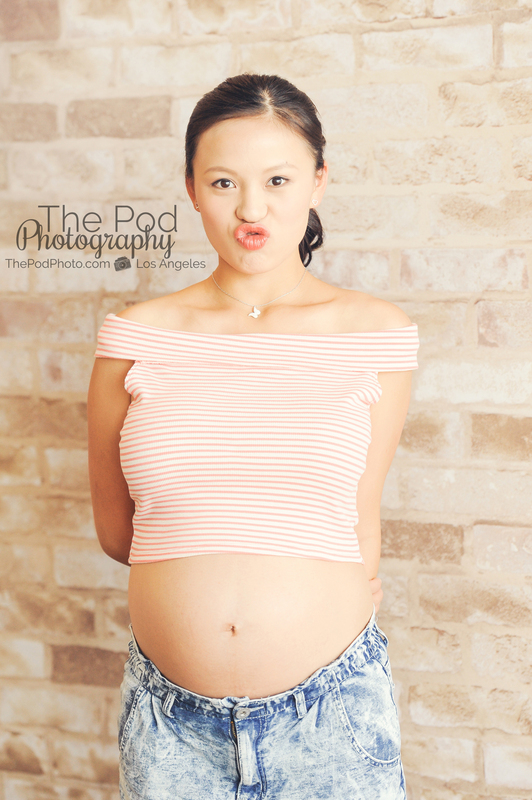 Check out more f our maternity photos on our website. 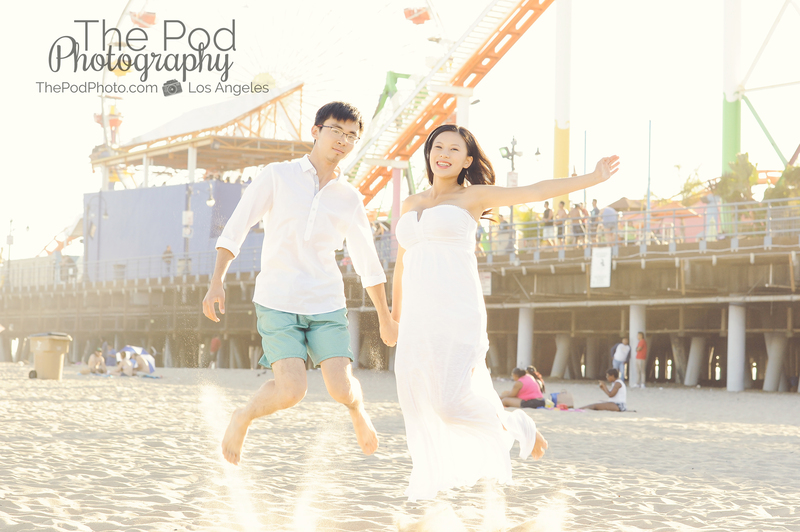 The Santa Monica Pier makes for such a vibrant, colorful backdrop. 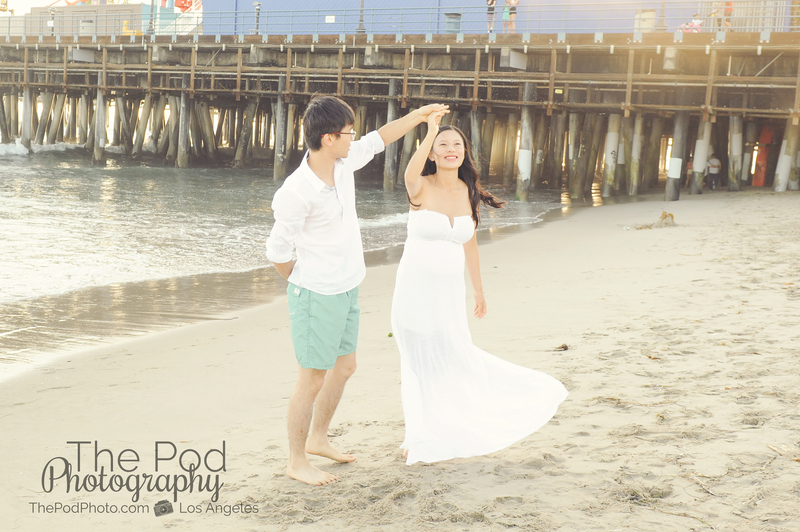 There are always a lot of tourist and other beach loving people close by during the photo shoot, and sometimes they even make it into the background… however that is part of the fun of taking pictures at this iconic Los Angeles beach location! 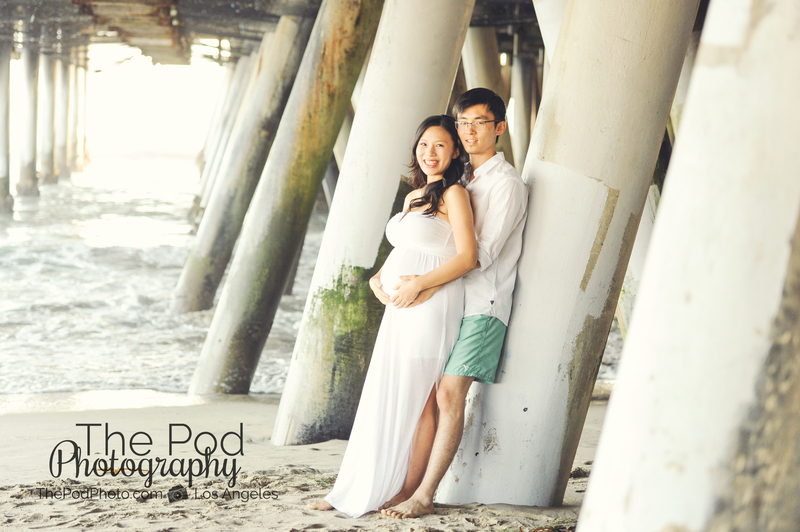 View more of our maternity photography on our website.